At Prep-Rite Painting, we understand that you want to do everything you can to improve your business. You’ve worked hard to get where you are, and you want your business to continue to grow and flourish. Part of running a successful business is maintaining a great work environment for your employees and a facility that gives your clients the best first impression. If your office space is looking a little dull, a simple and effective way to liven it up is with a fresh coat of paint. We at Prep-Rite Painting recommend hiring professional office painters, as they can guarantee the best results for your business. High-End Appearance- As mentioned above, a key part of a business’ success is creating a great first impression for your clients. When meeting with a new client, do you want them to see amateur mistakes in your office’s paint job, or the crisp, clean lines of a professional effort? Our office painters at Prep-Rite Painting have the right tools and experience to achieve a sleek, professional look that will serve your business for years to come. 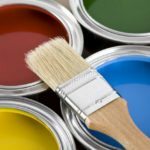 Logistical Expertise- Depending on the size of your business, you may need to continue working while painting is going on. Our team at Prep-Rite Painting know how to plan and execute a large- scale paint project while disrupting your operations as little as possible. Less Time- As a business owner, you understand the value of time, and so do we. While in theory you could save money painting your facilities yourself, it would take valuable time out of your schedule that you could be spending on more important things. Professional office painters like our team at Prep-Rite Painting will dedicate our time to getting the job done efficiently so that you can stay focused on your operations.